If you have been out on the roads in Suffield, you have probably seen some yard signs starting to show up. 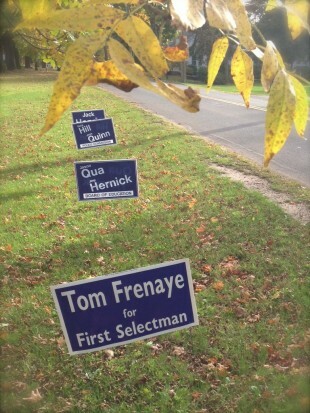 If you are interested in displaying your support for our candidates, please email us at yardsign@suffielddemocrats.com to get yours. Just let us know if you have a particular candidate(s), Board(s), or commission(s) that you wish to support or what signs you would like, and someone from our team will drop one or more off for you! Help us spread the word about our candidates and a positive future for Suffield!